I promise, one day I will finish talking about our new york trip. But I also promise that it is way more exciting than what is going on in our lives this week...which is pretty much just work and sleep. Monday morning we got up and took a stroll across the Brooklyn Bridge. This is pretty much as close as we came to the Statue since she was closed for renovation. It was an absolutely gorgeous day. Notice that Andrew isn't even wearing his lightweight jacket. I think it made it up to about 70 degrees. 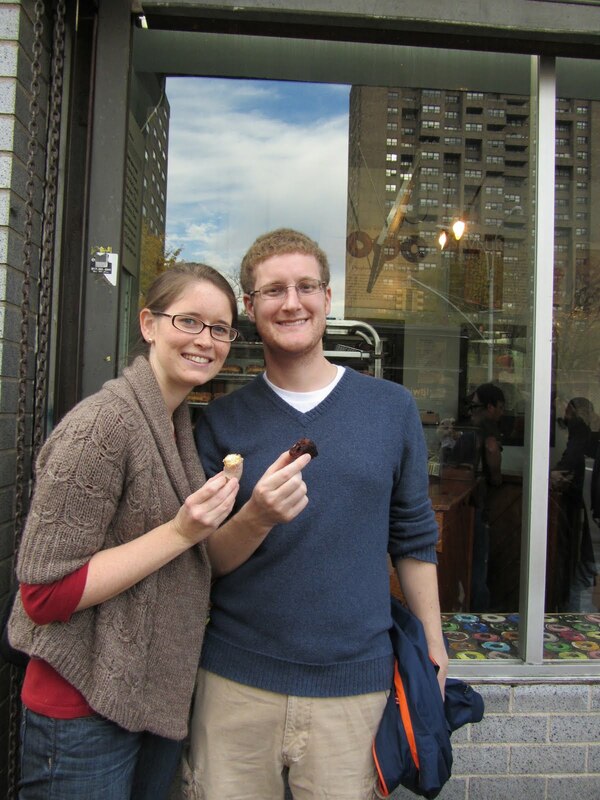 One of our favorite parts of the whole trip was the walking food tour we went on. It was a NYC living social deal a few months back. 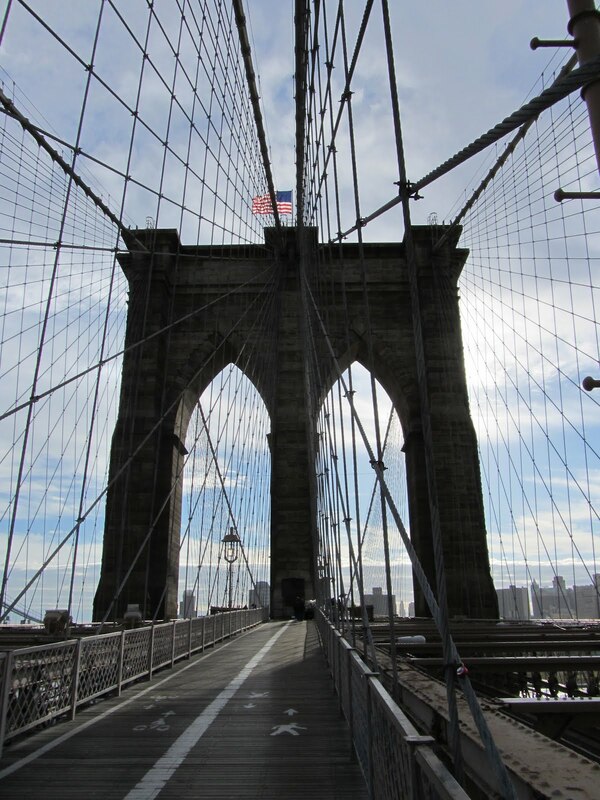 PS - its a great way to get sightseeing and food deals...sign up for the livingsocial and groupons for the city you are visiting a few months before you go. The company was Sidewalks of New York and they do food tours in several parts of the city. 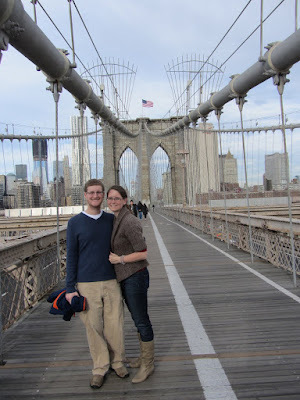 We decided to do the lower east side food tour. We had a tour guide walk us around the area for 2-3 hours and along the way we stopped for a snack at about 6 different places. The tour and food was all included in the price. Plus we got to meet a bunch of new people. There were 8 of us on our tour - and we were the only non-locals. 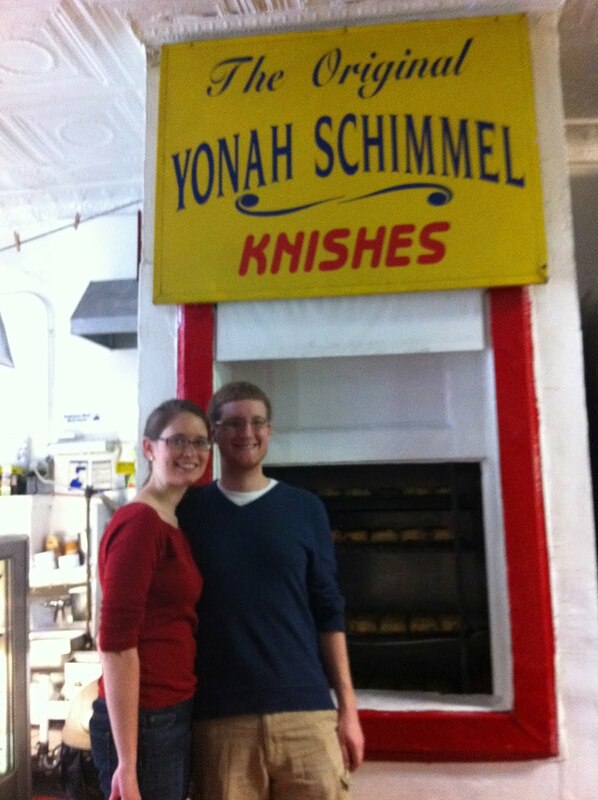 Here we are at our first stop: Yonah Schimmel Knishes. 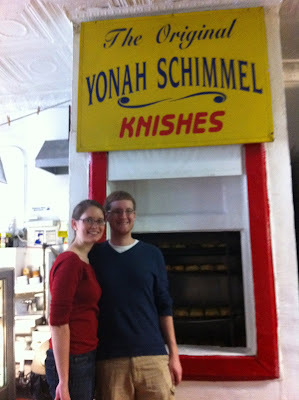 We each got to sample a potato knish which was very yummy! Next it was off to Katz Delicatessen for pastrami. It was seriously amazing. 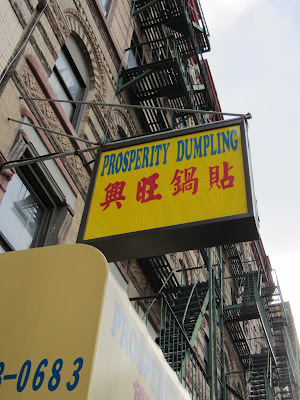 We also went to this little hole in the wall (literally...i think only about 5 people could even stand inside the "restaurant") dumpling house. But apparently it is so good that this is where the celebs come for their dumplings. The pickle guys pickle anything and everything. The store is full of barrels of different fruits and veggies getting pickled. 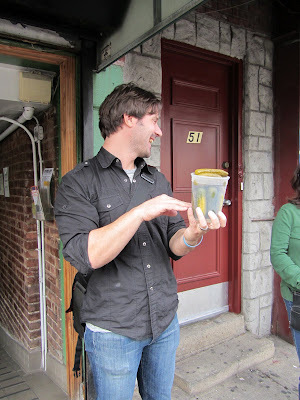 We got to try some of their pickled cucumbers and pickled pineapple. The pineapple was actually really good...it gave it a nice spicy flavor. Here is our awesome tour guide explaining the different varieties of picked cucumbers. I skipped a couple places that I didn't take pictures of. Our last stop of the day was the Doughnut Plant for dessert. I can't remember what the two kinds of doughnuts were that we sampled, but they were very yummy. Later that day we had some time to kill before the show and we had no dinner reservations...so we decided to go check out the restaurant and bar inside Dylan's Candy Shop. I use the word restaurant loosely as it was not much more than a snack shop (pizza, pretzels, etc) but it was just what we wanted. The exotic part was the bar...where they made all kinds of different cocktails with candy in/on them. 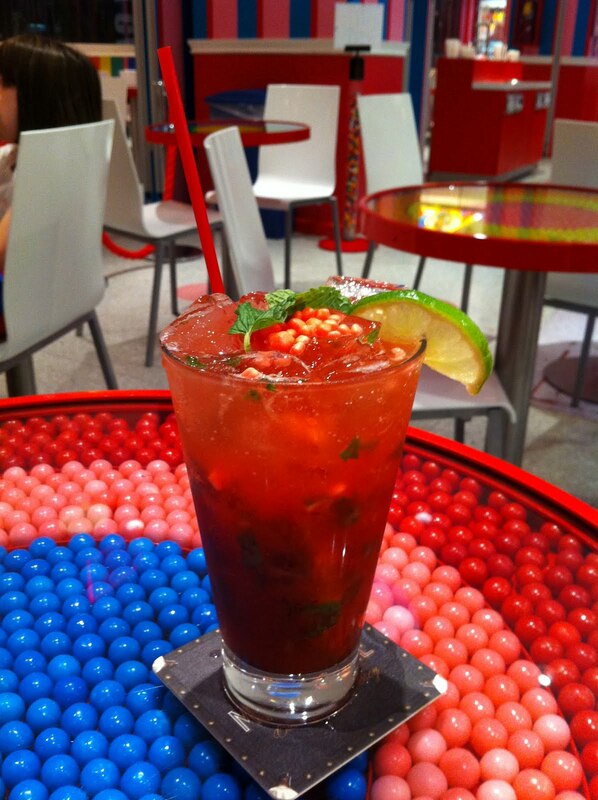 Here is my strawberry NERD mojito. Yes those are nerds sprinkled on top. It was quite good. Monday night we finally got to see the Radio City Christmas Spectacular. We had been looking forward to this the whole trip. We saw the traveling group perform in Winston Salem a few years ago which was nice...but it was a million times better in Radio City. The end of the show really is spectacular. It gives you chills to see everyone gather around the nativity...and it is so refreshing to see Jesus celebrated. In other news, I am heading to Houston this weekend with my coworker, and best friend, Dedra to celebrate a year of memorizing scripture with Beth Moore, Travis Cottrell and friends. It will be a fabulous and refreshing weekend. 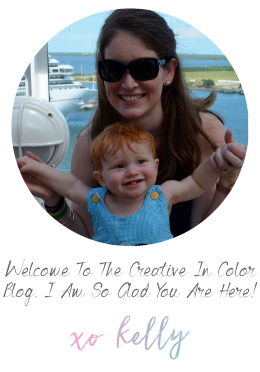 Can't wait to blog about it next week.